5 must read psychedelic books! Psychedelics is for the most part about experiencing. But if you want to gain some knowledge on the subject, then we have some great books for you. Here's the Magic Mushroom Shop list of 5 must read psychedelic books! Exploring the latest cutting-edge research on psychedelics, along with their use in indigenous cultures, Neal Goldsmith reveals that the curative effect of entheogen comes not from a chemical effect on the body but rather by triggering a peak or spiritual experience. 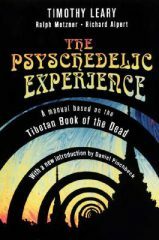 If you want to read more psychedelic books, then this is a great one to start with. This manual uses material from The Tibetan Book of the Dead for this preparation. The authors also make an important contribution to the interpretation of The Tibetan Book of the Dead.They show that it is concerned not with the dead, but with the living. The last section of the manual provides instructions for an actual psychedelic session, under adequate safeguards. This mesmerizing and surreal account of the bizarre adventures of Terence McKenna, his brother Dennis, and a small band of their friend. It is a wild ride of exotic experience and scientific inquiry. If you're looking for a "out of box" story then this is for sure one of the go to psychedelic books. 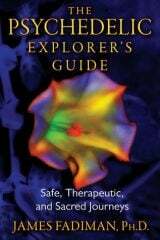 This is the essential book for anyone who wants to learn more about psychedelics. James Fadiman, also known as “America’s wisest and most respected authority on psychedelics,” has been a driving force behind psychedelic research since the 1960s. 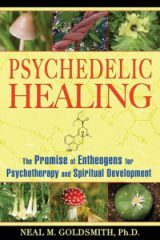 Fadiman wrote this book as a guide to the short-term and long-term effects of psychedelics for spiritual, therapeutic, and problem-solving use. He also drew from his 40 years of knowledge to outline the best practices to make the most out of one’s psychedelic experiences. This book is a photographic encyclopedia of psychedelic plants. Plants of the Gods is filled with fascinating testimonies. This psychedelic books informs the readers about the uses, and cultural significance of different psychedelic plants. 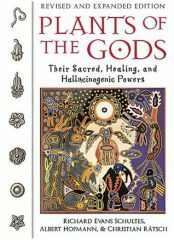 The accounts of using hallucinogens in sacred shamanic rites are highly detailed and includes explanations about biochemistry and cultural prayers, songs, and dances associated with them.